1978-79: Troy Graham wrestled as fan favorite Troy “The Hippie” Graham and frequently tagged with Tom “Boogaloo” Shaft.. 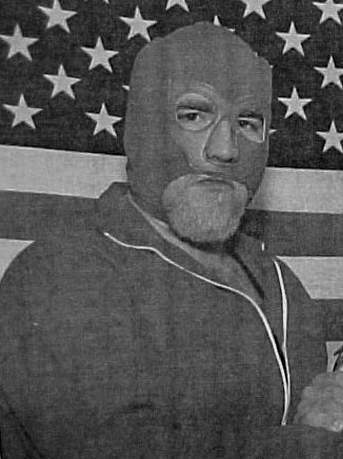 Early 1980: Troy Graham wrestled as Troy T. Tyler in Ron Fuller’s Knoxville territory..
Jimmy Hart introduced the masked “Dream Machine”, whose sole purpose was to eliminate Jerry Lawler! ~~~The Dream Machine (Troy Graham) was unmasked after a match with Jerry “The King” Lawler..
1982: Rick McGraw formed a tag team with Troy Graham known as “New York Dolls” in Memphis managed by Jimmy Hart..
1983: Troy Graham formed a tag team with Porkchop Cash known as the Bruise Brothers and feuded with the Sheepherders..
~~~The Bruise Brothers were members of Jimmy Hart’s original First Family faction out in the Memphis territory..
October 3, 1983: The Bruise Brothers defeated Dutch Mantell & Koko Ware for the AWA Southern Tag Team titles..
November 7, 1983: The RockNRoll Express defeated The Bruise Brothers for the AWA Southern Tag Team titles..
November 14, 1983: The Bruise Brothers defeated The RockNRoll Express for the AWA Southern Tag Team titles..
November 29, 1983: The Fabulous Ones defeated The Bruise Brothers for the AWA Southern Tag Team titles..
Late 1984: Troy Graham was replaced by Maddog Boyd in the Bruise Brothers tag team..
Mid-80s: Troy Graham worked as the manager of The Interns (Roger Smith & Don Bass) as “Dr. Troy Graham” in Memphis..
March 4, 2002: Troy R. Thompson Jr. passed away at the age of 47 at his Memphis home of a heart attack..
~~~Troy Graham will be remembered as a great wrestler and one of the best interviews in the business..